The story of a remarkable time and place: Los Angeles from the dawn of the singer-songwriter era in the mid-Sixties to the peak of The Eagles’ success in the late Seventies. 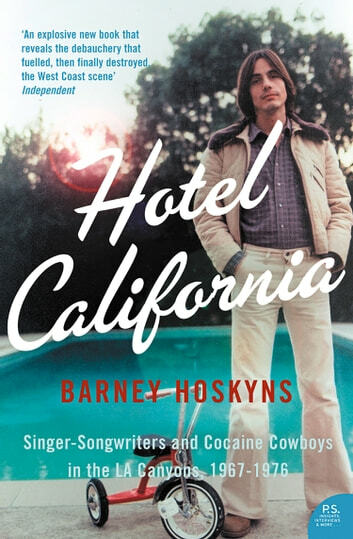 ‘Hotel California’ is an epic tale of songs and sunshine, drugs and denim, genius and greed, and is the first in-depth account of the LA Canyons scene between 1967 and 1976. Hoskyn's history of this vital period in the development of today's great musical influences spans the rise of Joni Mitchell, Crosby Stills Nash and Young, The Eagles, James Taylor and Jackson Browne, and focuses on the brilliance and determination of David Geffen, the man who linked them all. 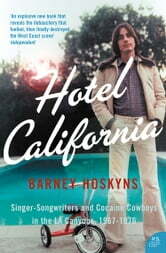 Covering genius, drug-crazed disintegration, and the myriad relationships between these artists and the songs that issued from them, and drawing on extensive interviews with countless stars, singers, writers, managers, executives and scenesters, ‘Hotel California’ is a pop-culture classic.